Providing quality insurance coverage and service is our number one priority. At Western Ag Insurance Agency Inc., we provide a wide range of insurance coverage that is sure to meet your insurance needs and go well above your expectations. Monte Sparby currently Monte resides in the heart of Rio Verde horse country and maintains office space in the Troon North area of North Scottsdale. Farm/ranch insurance insurance is large part of the agency as this line of insurance is complicated and extensive. Monte has extensive experience in this type of insurance and has specialized insurance training for proper farm/ranch insurance coverage needs. Monte has made it a point in his insurance career to become very knowledgeable in equine training, boarding and/or breeding operations insurance. 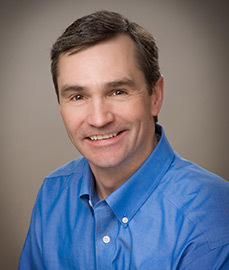 He has received specialized knowledge of agribusiness and farm/ranch insurance coverage and has acquired his Agribusiness & Farm Insurance Specialist (AFIS) insurance industry designation. Monte has over twenty years experience in the insurance business and is a third generation insurance agent. He is proud to be operating the Western Ag Insurance Agency Inc.. The agency offers all lines of insurance for virtually any insurance need. Western Ag Insurance Agency Inc. can help with any of your insurance needs from farm/ranch insurance and equine mortality insurance to your complex and unique business insurance needs. Additionally, the agency offers Personal Lines products for all your personal insurance needs. The products include Home, Auto and Personal Umbrella. We also offer coverage for all your ATV’s, UTV’s, motorcycles, motorhomes, camper trailers and horse trailers. Please contact one of our highly skilled and qualified agents nearest you for a quote, today!!! Please feel free to contact the agency for a free quote. We are anxiously waiting to help you. The toll-free number to the office is 1-877-852-5384.